Renaissance mogul Jay- Z waves his Midas fist again, this time to the tune of a $3000 per bottle exclusive line of cognac. Jay- Z and Louis XIII have dubbed this limited edition cognac “Black Pearl” and folks will have to pay up to $1000 per shot in nightclubs. Additionally, Jay- Z’s “Decoded” debuted at No. 3 on the Hardcover Nonfiction edition of The New York Times Best Sellers List. 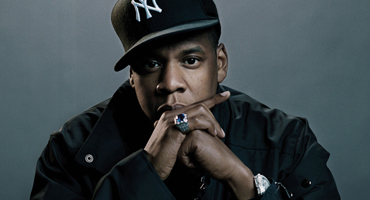 “Decoded” denotes Jay-Z’s life journey and details the meaning of many of his song lyrics. The book was also featured on Oprah’s “Favorite Things” show and is currently amongst Amazon.com’s top ten sellers. I love your blog..very nice colors & theme. Excluysive Cognac – IndustryPlug < Liked it! velocity is amazing. It sort of feels that you’re doing any distinctive trick.